Like several other states with histories of discriminating against voters of color, Texas for decades was required to obtain federal approval of any changes to its elections — including adjustments to political boundaries to account for the state’s growing population. That changed in 2013 when the high court freed the state from federal guardianship. The Supreme Court, though, left open the possibility that future, purposeful discrimination could mean a return to the days of electoral supervision. Though the plaintiffs lost on their challenge to the state's current maps, groups that challenged the maps pointed to some of those 2011 violations in indicating to the San Antonio panel that the issue of a return to federal oversight was not yet settled in the case. 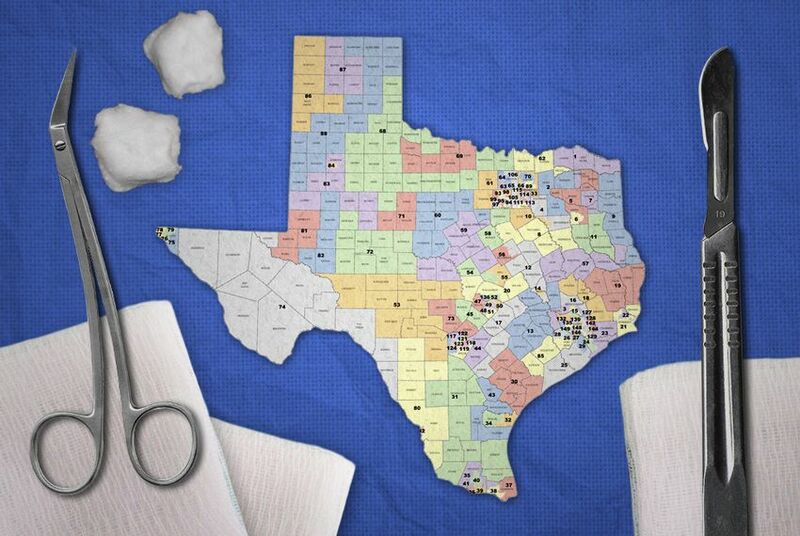 The maps lawmakers first came up with in 2011 never went into effect amid legal wrangling that eventually led to the redrawn maps the state currently uses for its elections. But the San Antonio panel still found evidence of discriminatory mapmaking. Specifically, the court ruled that “mapdrawers acted with an impermissible intent to dilute minority voting strength” by intentionally “packing” and “cracking” voters into certain districts based on race. The prospect that the courts could invoke a section of the Voting Rights Act that would once again require Texas to obtain federal approval of its election laws, including its map drawing, has long loomed over the case. Despite multiple findings of intentional discrimination against the state’s map drawing and its embattled voter ID law, legal experts have said plaintiffs would likely face an uphill climb in convincing a majority of the Supreme Court, which would have had the final word on the issue, to allow for a return to federal supervision. Still, plaintiffs in the case asked the court to decide whether the 2011 findings of intentional discrimination regarding Texas’ congressional and state House maps entitle them to relief in the form of federal oversight for the state — a safeguard for voters of color known as preclearance. The San Antonio panel had set Wednesday as the deadline for plaintiffs to indicate whether there was anything left to litigate in the case other than changes needed to address racial gerrymandering violations in North Texas' House District 90 — the one exception to the Supreme Court’s approval of the state’s political districts. The Texas Attorney General’s Office, which is representing the state in court, is likely to file a response in fierce opposition of a return to preclearance. The filing comes just weeks after a separate group of plaintiffs challenging the state’s voter ID law over discrimination indicated that case was over, as far as they were concerned, despite the state’s efforts to convince U.S. District Judge Nelva Gonzales Ramos of Corpus Christi to reconsider previous findings that the state’s voter ID law disproportionately — and intentionally — discriminated against Hispanic and black voters. Ramos’ findings of intentional discrimination in that case had raised the possibility that she could invoke the section of the Voting Rights Act that would put Texas back under federal election oversight. But opponents of the law won’t be pursuing that in that case.